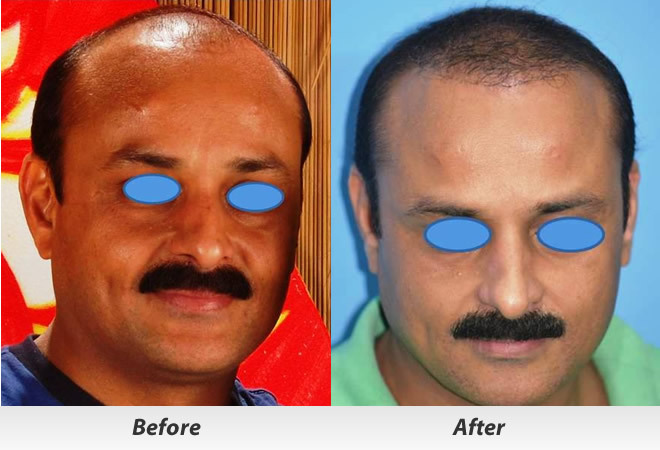 Male pattern baldness is usual inherited and once the Baldness starts usually cannot be checked by any means, .Hair Transplant is the only scientific technique for restoration of natural hair. 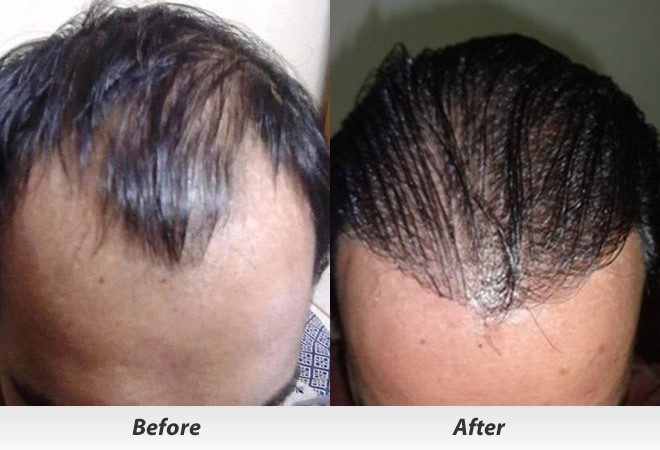 The surgical procedure of transferring your own living hair to grow permanently in areas of baldness is called Hair Transplantation. Are hair transplantation results permanent ? Is It Painful ? NO. Patient can resume light work from third day on wards. 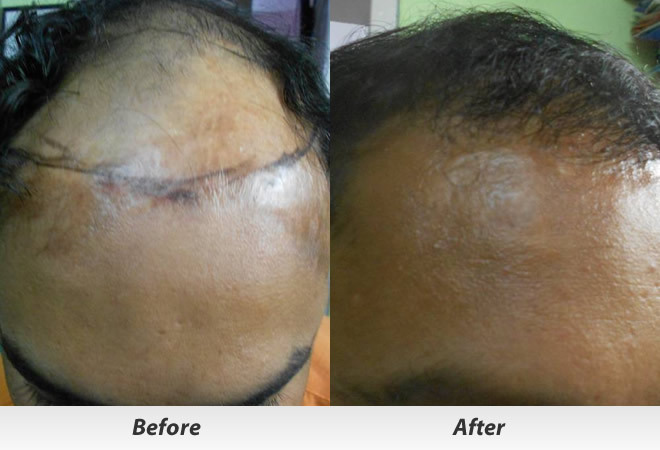 Sutures on back of head get absorbed & they are not visible from day one. However patient should not do any exercise for three weeks or shun from any activity which will increase pressure in transplanted area. Mild swelling on forehead is possible which disappears after day or two. You can have head bath 4th day on wards. Crusts, scabs & effulivum falls off in next 4 weeks. No special care,medicines or frequent visits to doctor are required. 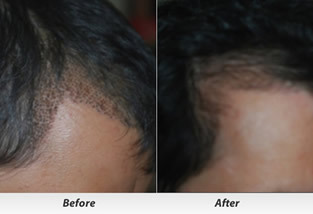 The hairs will fall out of the newly transplanted follicles within two to six weeks after the procedure. 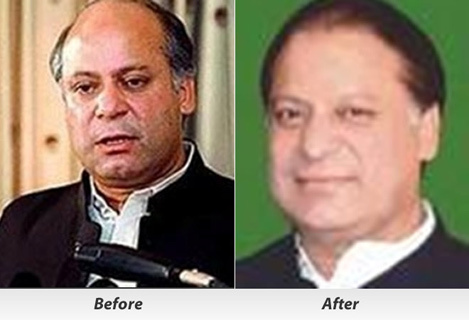 It is very similar to a tree being transplanted and the leaves falling off. 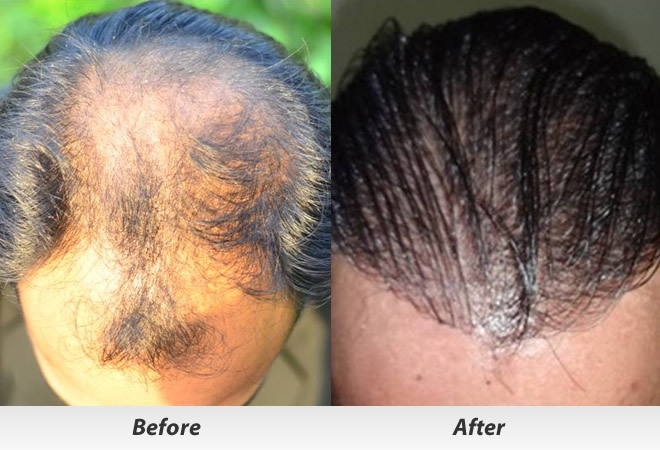 Hairs start growing after 12 weeks & they continue to grow for rest of your life.You can wash them ,trim them,style them anyway you like. 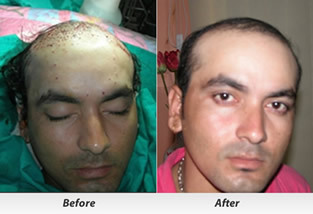 You are a most likely candidate for hair transplant if answer is yes to following questions. Q: How long does it take the transplanted hair to grow out enough to fill in the balding area? 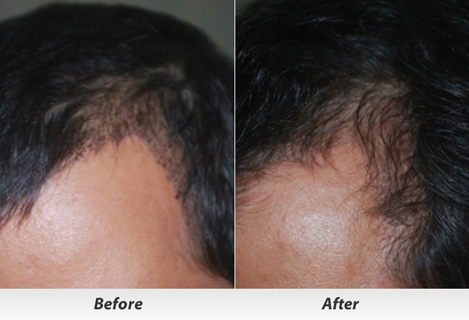 A: Usually it takes three to four months for the hair to grow out, and after that it will grow about half and inch per month which is the same rate as the donor hair. 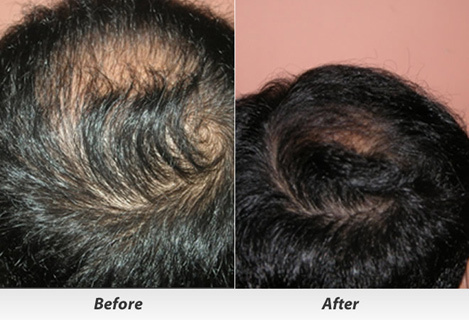 Initial hair quality is usually very thin, softer in texture like baby hair and then it becomes coarser over time. Sometimes the initial hair is curlier, then straightens in about one year. The color of the initial hair may also be darker. It may be lightened by the sun later. 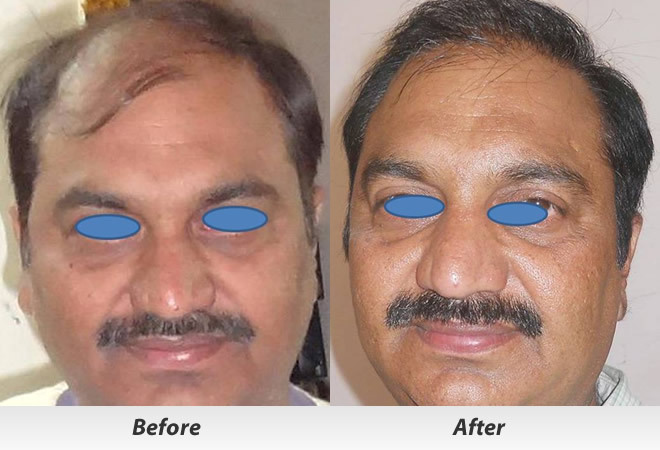 Why is Hair transplant expensive - It is a very skillful technique and requires a lot of hard work as mentioned earlier it may take seveerl hours.A team of 2to 3 doctors and several trained technician is required and hence the cost. 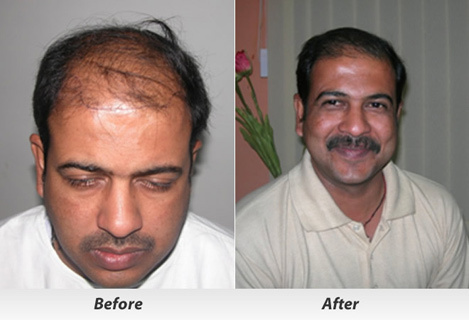 Still Hair transplant is india is very cheap compared to western countries.Any way ask any succesful hair transplant patient the natural hair growth is highly satisfying.